In the course of just one offseason, the ​Cleveland Browns have become one of the NFL's most intriguing teams. That seems like high praise for a franchise coming off a 0-16 season, but the Browns have completely revamped the entire organization. 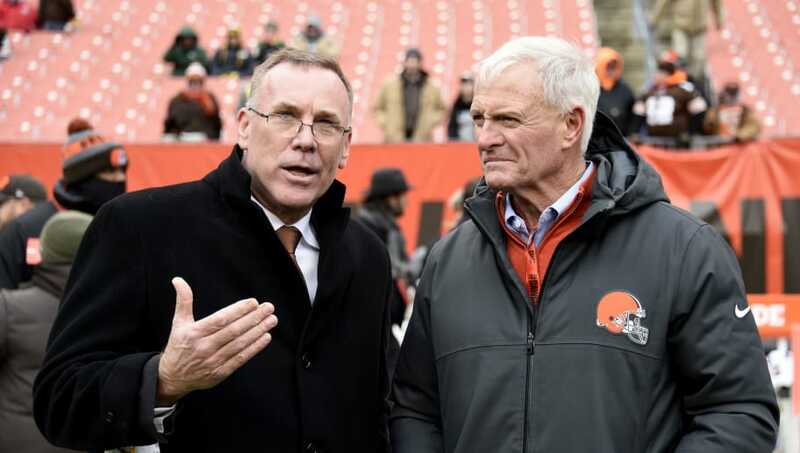 There finally seems to be light at the end of the tunnel and ​Browns fans have had the opportunity to follow their team this offseason through a Facebook Watch documentary titled 'Building the Browns.' The third installment of the series was released, focusing on the multitude of free agent moves the team made, including signing wide receiver Jarvis Landry to a monster five-year extension. Through their many years of embarrassment, Browns fans have been some of the most loyal supporters in the NFL. They've stuck with their team through thick and thin and now have a reason to be excited. The acquisitions of Landry, Tyrod Taylor, Damarious Randall, Carlos Hyde and others significantly improved the current roster. The Browns aren't done just yet and have the opportunity to find their franchise quarterback with the No. 1 or No. 4 pick. Fans have endured so many struggles, so there's no way the front office can screw this one up. Let's hope the series doesn't have to document yet another failure from this organization.